We are only just beginning to understand the costs that crime—and fear of crime—can impose on communities and their residents. Ingrid Gould Ellen is professor of urban planning and public policy at New York University’s Wagner Graduate School of Public Service and co-director of the Furman Center for Real Estate and Urban Policy. She joined the Wagner faculty in the fall of 1997 and presently teaches courses in microeconomics, urban economics, and housing and urban policy. 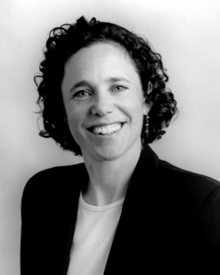 Professor Ellen’s research interests center on urban social and economic policy. She is author of Sharing America’s Neighborhoods: The Prospects for Stable Racial Integration (Harvard University Press, 2000) and has written numerous journal articles and book chapters related to housing policy, neighborhood change, urban growth, and school and neighborhood segregation. Before coming to NYU, Professor Ellen held visiting positions at the Urban Institute and the Brookings Institution. She attended Harvard University, where she received a bachelor’s degree in applied mathematics, an MPP, and a PhD in public policy.